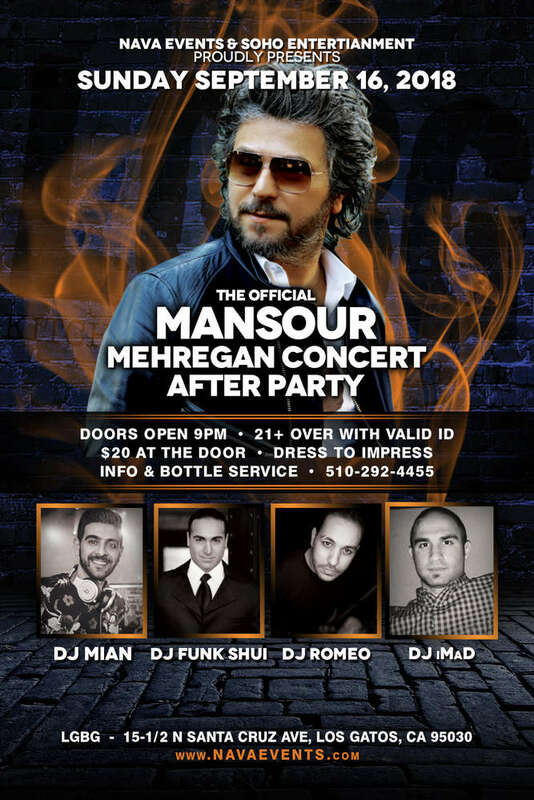 Mansour will be joining us at the after party. 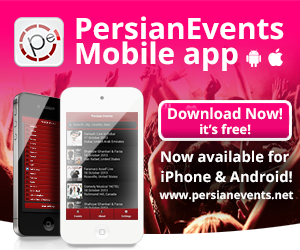 • He is not performing but relaxing from our Mansour کنسرت مهرگان پارک وسونا event. • We will have a dedicated area with a professional photographer for photos. Bottle Service and Table Reservation. Get your tickets now as the capacity of our event is 300. This event will sellout quick. Presale tickets are on sale till 9-9-2018 for $15 and $20 after till the event.